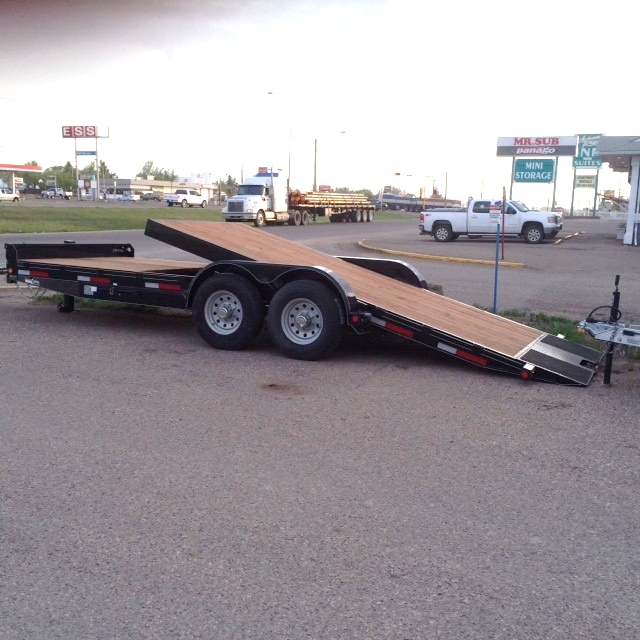 Please be advised that not all trailers shown on the website will be in stock. All makes and models are available for ordering through the manufacturers if they are not available at the time of inquiry. Length: Fits all standard & small truck box sizes. Can be set up on or off the truck. Fits all standard & small truck box sizes. 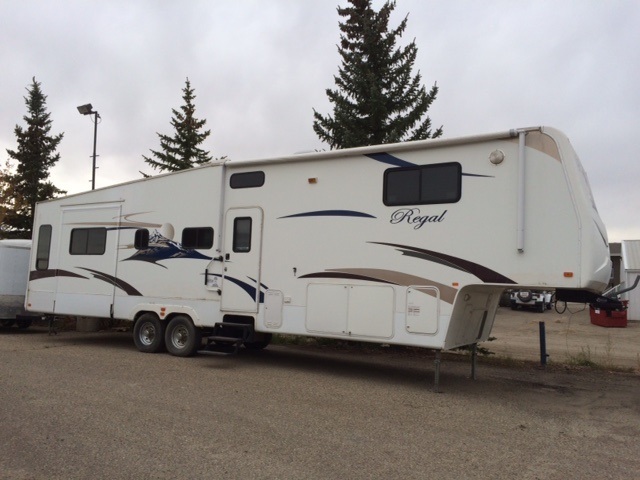 This grand fifth wheel features 4 slides for a very spacious interior. Pre-owned unit. 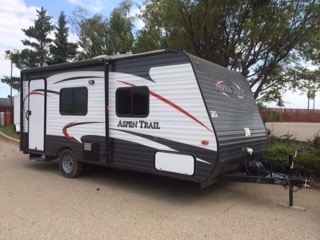 The Aspen Trail 1600RB is a great starter unit for a couple or small family. 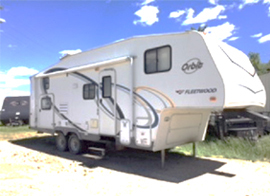 This spacious unit is equipped with a queen master bed, rear single bunks, sofa/dinette slideout, TV, stereo, and more. 3,500 lb Axle, 2 inch Ball Coupler, 4′ Mesh Endgate, 2 x 6 Fir Decking. Picture shows standard mesh gate end. Comments: 1 – 3,500lb axle. Swing-Up Jack. 2” Ball Coupler.Stake Pockets. 4′ mesh end gate. 5 channel frame w/3 channel cross members on 24 centers, two 5,000 lb. axles, 7000 lb drop-leg jack, two 5′ slide-in ramps, 10 high bumper rail, stake pockets and full length tie-down rails, 2×6 spruce plank floor. PICTURE NOT EXACTLY AS SHOWN. Tandem 7,000# Spring Axles w/Electric Brakes, 5” Channel Frame, 12,000# Drop Leg Jack, 2-5/16” Adjustable Coupler, 10” High Solid Front Bumper and more! Comments: 2 – 3,500lb Axles with Electric Brakes. 205/75 R15 Tires. 2 x 5′ Slide-In Ramps. A-Frame Swing-Up Jack. 2-5/6”. 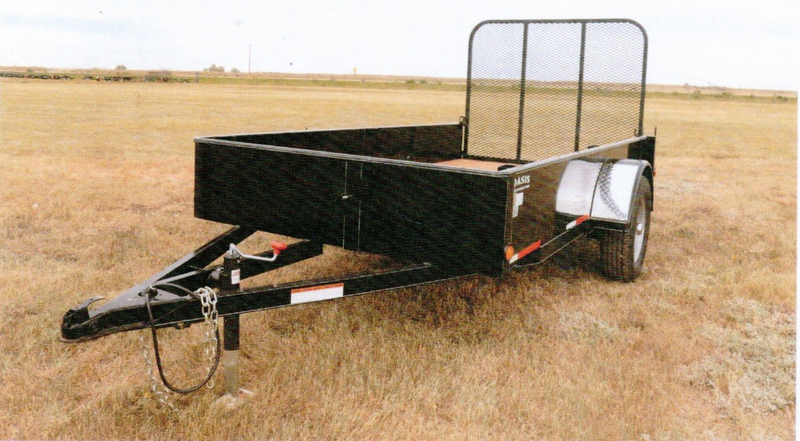 Tandem 7,000# Spring Axles w/Electric Brakes, 5” Channel Frame, 12,000# Drop Leg Jack and more! Tandem 7,000 lb. 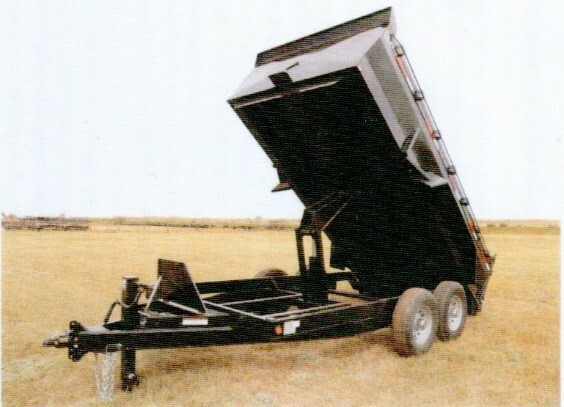 axles, 7’ slide-in ramps, 12,000 lb. drop leg jack, 2-5/16” adjustable coupler and more! 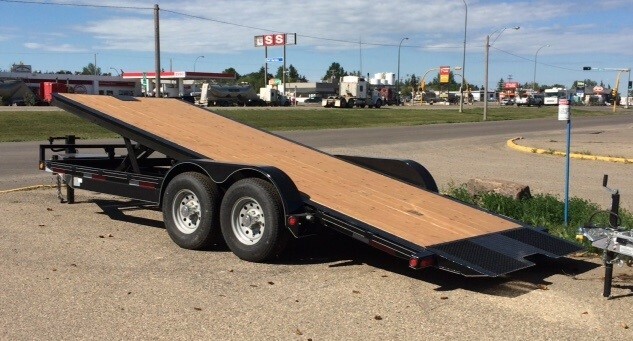 No matter what use you find for this trailer, whether you’re in the construction, landscaping or cleanup business, this high performance trailer comes with features you soon won’t want to live without.